Many men dream of doing something that will still impact lives in their names long after they are dead, long enough for future generations to read, learn about, and wonder in awe at their intelligence and mental prowess. Very few men succeed in achieving this feat and one of these men is Cornelius Vanderbilt. Fans of Gossip Girl might think of the name Vanderbilt as the name of one of the lead characters in their beloved show, but to historians and the many men and women who helped build the Grand Central Station in New York, Vanderbilt was the transportation tycoon who revolutionized America’s transportation system. Here is a quick look through the life of one of America’s most popular figures. He lived between 27 May 1794 and January 4, 1877, having been born in Staten Island, New York. Like most men during his time, he started out his life as a man with very little resources, only building wealth that would last generations with his wit and intellect. He was born to mother, Phebe Hand, and his father, Cornelius van Derbilt. One would expect that the man who would be credited as being responsible for the revolution of the American transportation system would be a well-learned man with tons of educational qualifications, but Vanderbilt was none of this. In fact, the man dropped out of the formal education system at 11 years of age as a result of his family’s poor financial state. This resulted in a journey of practical hands-on experience which, combined with his intelligence, led to Cornelius’ extreme familiarity with the steamboat business and much later, the railroad business. He bought his first vessel at the age of 16, and this first venture wasn’t without its own challenges but Cornelius, through hard work was able to expand his fleet of ferries from one vessel to two, using the other as a cargo vessel for food and merchandise. The quality and brilliance with which he managed his business got him an opportunity to work for Thomas Gibbons, who owned a fleet of vessels. Cornelius Vanderbilt worked as a business manager for Thomas Gibbons while he kept on running his own business. Working for Gibbons, Vanderbilt gained knowledge and experience in managing big and complicated businesses, and also in legal matters; all skills that his own business, which he ran on the side would eventually require. At the time of Gibbons’ death in 1826, Vanderbilt was in a prime position to become one of the top ferry owners in New York. Leaving the entire Gibbons business three years after Gibbons’ death, he expanded his own business as a steamboat entrepreneur, taking up control of lines ran by Gibbons and his brother-in-law. His partnerships with businessmen like Daniel Drew eventually placed Vanderbilt at the summit of the steamboat business in New York, and he became the leading name in all things steamboat on the Long Island Sound. 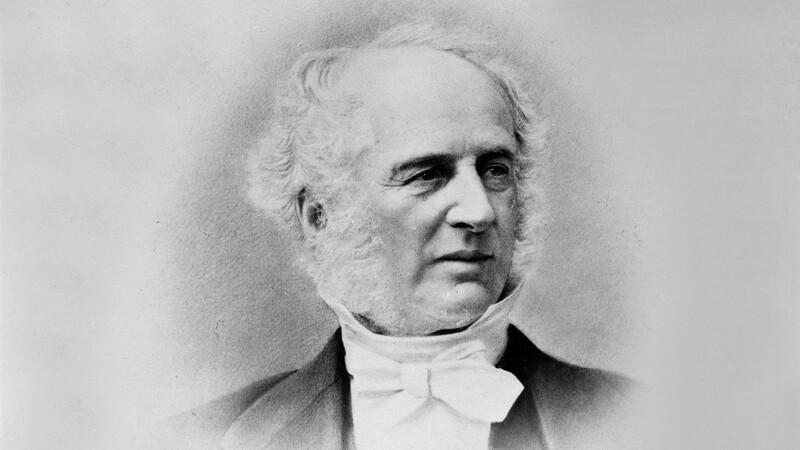 The resources made available by his position as a steamboat businessman, allowed Cornelius Vanderbilt to become the owner of railroads which were connected to his steamboat routes and this further broadened his sphere of influence. The combination of his steamboat business reach and his railroad reach earned him the nickname, The Commodore, but Vanderbilt eventually sold out his steamboat business to focus on railroads alone. His focus on the railroads led to him building the Grand Central Depot in Manhattan, a building that has now become the iconic Grand Central Terminal in New York City. Until his death on the 4th of January, 1877, he ran the Vanderbilt business empire, which at the time of his death, was valued at $100 million. He had investments in railroads and real estates. He was also a philanthropist, who donated $1 million for the building of the Vanderbilt University which was named after him. He was also known for donating several smaller amounts to churches, especially the Moravian Church which he gave both money and 34,000m2 of land which was used to build the Moravian Church and Cemetery, where he was buried at the time of his death. Cornelius Vanderbilt was born into a poor family and had little in the way of formal education having dropped out from school at the age of 11, but it did not stop him from amassing a ginormous net worth of $100 million at the time of his death. When his net worth is adjusted over inflation to today’s dollar value, Cornelius died with a net worth of $215 billion. See Also: George Hamilton Bio, Net Worth, Children, Ex-Wife, Why is He Looking So Tan? During his lifetime, he was married twice; first to a first cousin of his at the age of 19 in 1813. The said wife, Sophia Johnson gave birth to 13 children before her death in 1868. Vanderbilt gave matrimony another trial and got married for the second and last time in 1869 to Frank Armstrong Crawford, another cousin of his. He was with Frank until his death in 1877 but they had no child together. He had 13 children, which included notable ones like William Henry Vanderbilt and Cornelius Jeremiah Vanderbilt. His favorite son, George Washington Vanderbilt II, who was supposed to be the heir apparent to his fortune, died at an early age and that honor eventually went to William Henry Vanderbilt.